Nintendo on Thursday confirmed that it is discontinuing the NES Classic Edition just six months after launch. What makes the decision so incredibly baffling isn’t just Nintendo’s mismanagement of inventory but the fact that demand remains sky high. 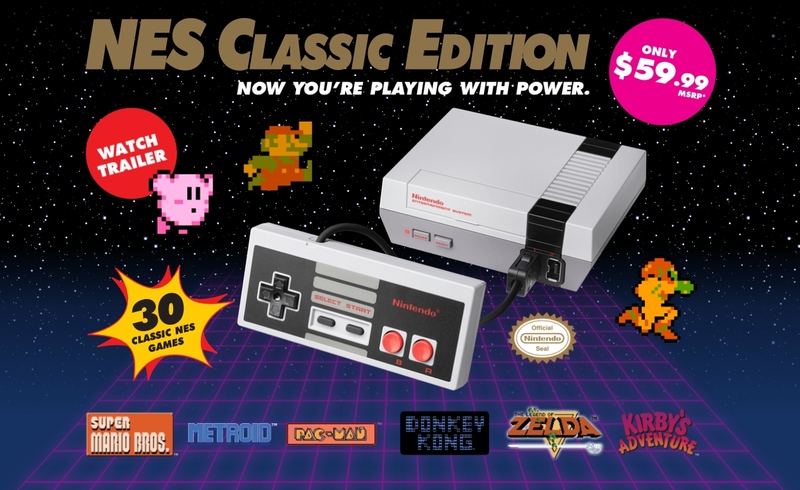 A representative for Nintendo told IGN that throughout April, [retailers in] North America will receive the last shipments of the NES Classic Edition "for this year" (a clue?). The rep acknowledged (and apologized for) the difficultly that many consumers have had in finding a system, suggesting that anyone interested in the system get with retail outlets regarding availability. The NES Classic Controller is also being discontinued. Nintendo added that the NES Classic Edition wasn’t intended to be an ongoing, long-term product but due to high demand, they did add extra shipments to the original plans. While I get the whole “limited edition” approach, I don’t have to agree with it (and you shouldn't either). Common sense dictates that when you have a surprise product that’s in extreme demand and virtually impossible to find on store shelves, you don’t randomly discontinue it. Seriously, why forfeit the income and (further) piss off your fanbase? It looks as though your best bet for securing the NES Classic Edition moving forward will be through a third-party source like eBay where pricing has gone through the roof (even further). If you're lucky enough to already have a system, congratulations on owning a future collector's item. There are, of course, other ways to get some hands-on time with your favorite NES games for a fraction of the price. Multiple online tutorials exist that'll walk you through the process of building a Raspberry Pi-based retro gaming emulator or if you'd rather stick to the straight and narrow, you can pick up an original Nintendo and several classic game cartridges for less than $100 on eBay.